Want to tour the museum? Call our office at 717-566-6314 to schedule a tour or check out Schedule of Events page to see when we’re open next! The Parish House building which serves as the museum for the Hummelstown Area Historical Society was built in 1815 as the Zion Lutheran Church, the second congregation organized in 1753, which had dedicated its first edifice, a log structure, in 1766. Upon erection of the new brownstone church in 1893 the old building was used for community activities including a public library and reading room. Literary and musical programs were held to share both local and outside tales, but these activities succumbed to declining interest by the end of the century. In 1911, the tower was completely removed and the entire building was remodeled to accommodate the Sunday School which had outgrown its quarters in the 1893 building. Since then its appearance has remained essentially unchanged. During a period when the Hummelstown Public Schools were overcrowded the lower rooms served as classrooms. The rooms became available for public use in 1965 and after a time of declining use, the Lutheran congregation granted the building’s use to the Historical Society in November of 1971. In this building you will find more than 14,000 items which reflect the way of life in Hummelstown for more than two centuries. The Parish House and the adjoining cemetery stand on land deeded to the Lutheran congregation by Frederick Hummel who founded the town in 1762, laying out into lots a tract of land originally warranted to Henry Chambers in 1744. This section for which he paid 200 pounds sterling became the center of the present town. The founder’s last resting place is marked by a monument in the cemetery just north of the building. 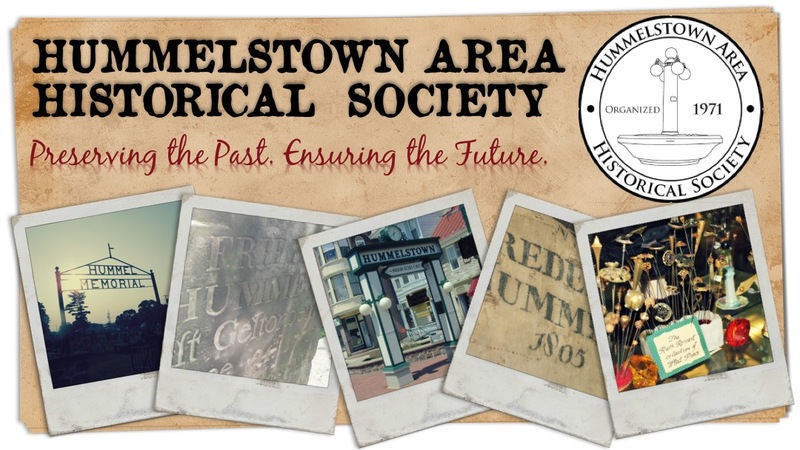 The Hummelstown Area Historical Society leased the Parish House from the Lutheran Church from 1971 until 2012, when the building was officially purchased by the Hummelstown Area Historical Society after an incredibly successful Community Campaign. This virtual tour of the Zion Lutheran Church Cemetery was done as my Eagle Project. By doing this I hoped to preserve the tombstones and their inscriptions which are being lost to time and weather and to allow those who are unable to physically visit the cemetery to look up information on it, and see the tombstones. In order to accomplish this, I used a book compiled in 1999 by Janet Snyder Welsh which included the inscriptions that are in this document. I also used a map of the cemetery provided by the Hummelstown Historical Society as well as numerous visits to the cemetery to both take the pictures and match them to their inscriptions. The information provided is correct to the best of my ability but is limited by the illegibility of many of the stones and some discrepancies between the sources and the actual stones found in the cemetery. I hope that you will find this to be a useful source of information as well as a way to preserve this important piece of local history.